There is a sense in which the season of Advent can be regarded as a liturgical enigma: an odd and under-appreciated time, overshadowed in many respects these days, by the mercantile re-branding of Christmas that has sadly become the rule rather than the exception, for too many. If we are not careful, if we’re not…intentional, the goal of both seasons, Advent and Christmas, easily gets lost – covered as it were, under piles of external trappings and the noise of mundane activities, that have little or no eternal value. 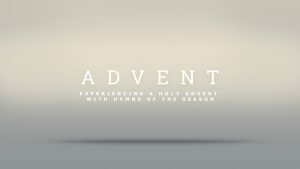 This Advent then, I am inviting you to take a journey with me. Let us pause each Sunday during the season and with hearts open to the experience of the Spirit’s in-breaking, let us take time to truly engage the spirit of Advent, that we may receive and savour the fullness of God’s comforting presence, amidst life’s throng and press. 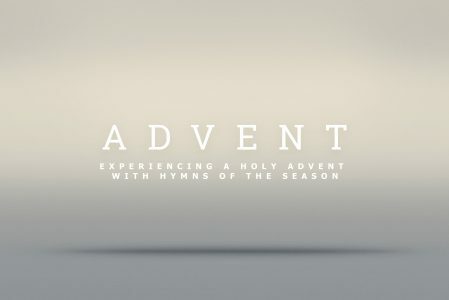 I have always been fascinated by Advent hymns; they inspire an inner longing and desire that cannot adequately be described and consequently, the way to meaningfully sing them is via contemplative preparation i.e. creating the interior shalom, towards which they beckon. If you are like me and I suspect in many ways that is the case, there are legions happening in your world, for which answers remain elusive. There is a sense in which the very thought of celebration seems an oddity, given the pains, hurts and related challenges that have become a way of life for so many. That is why I am determined to be intentional this Advent, in hushing the noise of human strife, to hear heaven’s angels sing. Come with me then, to that place of contemplative preparation, assisted by selected Advent hymns and the day’s Gospel reading. Perhaps as we meditate thereon, we will be enabled in making ready the path to a meaning-filled celebration of Christmas and find that the hopes and fears of all our years are met in Him, who is our Lord.